World Cup 2018 Group G consist of Belgium, Panama, Tunisia and England. 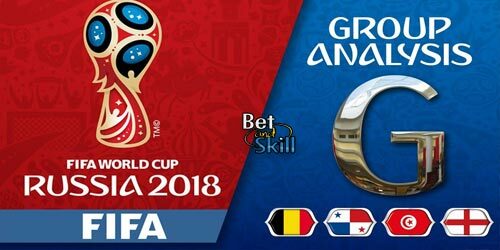 This article contains our World Cup 2018 Group G betting preview including predictions on Group Winner, To Qualify, To Finish 2nd, To Finish Bottom and Straigh Forecast. Plus, the best odds, betting promotions and no deposit free bets on Russia 2018! In this post, we'll take a closer look at Group G and try to determine which two sides are likely to prevail. Ladbrokes offer 50/1 England to reach the knockout stage of the 2018 World Cup + £5 free bet! Belgium were the first European team to qualify with 22 points from eight games. The Red Devils broke all sorts of records in qualifying: they were unbeaten, they got 28 points from 10 games and Romelu Lukaku became the country’s record goalscorer. The present Belgium side is being touted as the finest in the country’s history. Roberto Martínez’s men blitzed their way through Group H, breaking records at will. Their tally of 43 goals was the most ever registered in a single European Qualifying group for a World Cup and they also bludgeoned their way to a record goal difference of +37 - beating the previous best set by Romania (+33) during qualification for France 1998. The man currently making this dream squad tick is Kevin De Bruyne. 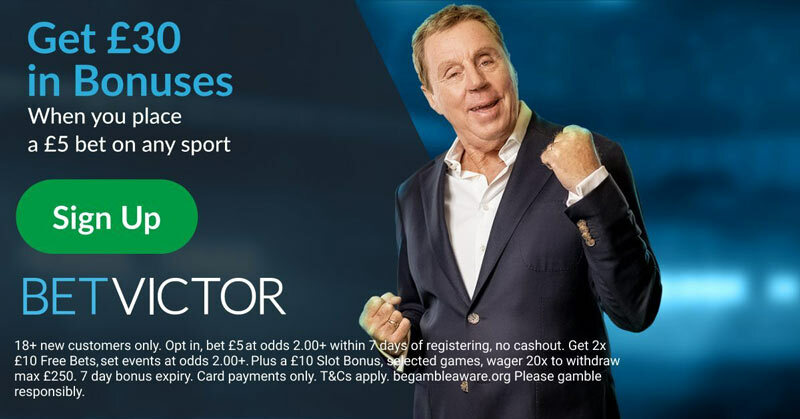 Already the outright favourite to win the PFA Player of the Year award with his unerring vision, sublime range of passing, and long-distance strikes – he could be a real handful in the World Cup, alongside Chelsea talisman Eden Hazard. With both men entering the peaks of their careers, this combined creativity could take Belgium a long way. Belgium’s best performance at the finals was reaching the last-four in the 1986 edition, held in Mexico. Last time out in 2014, what was then a young Belgian side (with massive potential) made the quarter-finals after qualifying unbeaten as group winners. Will this potential finally be realised in Russia? In the most recent friendly, Belgium hammered Saudi Arabia 4-0 last March. A nation more renowned for its cigars than football ability, Panama reached the World Cup finals for the first time in recent tournaments courtesy of a last-gasp 2-1 victory over Costa Rica in their final qualifier, taking advantage of the United States' incredible defeat against Trinidad & Tobago. They were runners-up at Concacaf's Gold Cup in 2013. By guiding Panama to their first ever World Cup, Colombian coach Hernán Darío Gómez Jaramillo became just the second manager after Henri Michel to have led three different national teams to a World Cup. Crucial in this achievement in qualifying were standout players Luis Tejada and Felipe Abdiel Baloy Ramírez. The 35-year-old Tejada is currently the all-time leading scorer in Panama history with 43 goals and finished as joint top scorer during his country’s run to the 2005 CONCACAF final. Municipa defender Felipe Ramírez, meanwhile, has represented his country 93 times and was selected as part of the 2005 and 2007 CONCACAF Gold Cup Best XI. Panama were involved in several friendly matches this year. They lost to Denmark 1-0 and to Switzerland 6-0 in March, then they beat Trinidad and Tobago 1-0 last month and drew 0-0 against Northern Ireland on 30th May. Having won the Africa Cup of Nations in 2017, Tunisia sacked Henryk Kasperczak soon afterwards. Unbeaten in qualifying, they defeated DR Congo by a point. The Carthage Eagles reached their fourth finals after they finished top of Group A in the African preliminaries under gaffer Nabil Maâloul. The former Kuwait boss returned to his native country for a second spell in charge after a seven-game cameo in 2013. In reaching the 2018 finals in Russia, Maâloul became only the second Tunisian coach to qualify for the World Cup after Abdelmajid Chetali in 1978. Tunisia only qualified once a World Cup tournament in Germany in 2006, at which they failed to make it beyond the group stage. Who should fans be looking out for from Tunisia in Russia? Remember Wahbi Khazri? Tunisia’s number ten is currently out on loan from Championship side Sunderland and has sparkled in Ligue 1 with Rennes. Khazri has scored seven times in 11 starts, helping the French club up to eighth in the table. Also keep an eye on Aymen Mathlouthi too. The 33-year-old shot-stopper is regarded as the best goalkeeper in Tunisia and one of the greatest in African history. Mathlouthi is equally as competent with the ball at his feet and has chalked up 70 appearances since his debut in an Africa Cup of Nations qualifier ten years ago. With such an accomplished keeper, can Tunisia improve on their record of a single victory at a World Cup, back in 1978 when then beat Mexico 3-1? They recently managed to draw 2-2 against Portugal. Prior to that, back in March, Tunisia beat 1-0 both Iran and Costa Rica in international friendly matches. England were unbeaten during the qualifying campaign (W8 D2) and have lost twice under Gareth Southgate's stewardship - to Germany and France. The Three Lions cruised through their qualifying group, emerging undefeated from their ten games, winning eight. Despite being blessed with some of the world’s most gifted players and a domestic league to rival any, it has become habitual for England to fall short on the biggest stage of international football. What’s more, former Middlesbrough gaffer Gareth Southgate still needs to prove himself in the England dugout – as he famously failed to keep Middleborough in the Premier League during his three-year reign at the Riverside. He then failed spectacularly at the European Under-21 Championship in 2015, where his side were knocked out in the group stages, finishing bottom of their group. He has currently won half of his 14 matches during his time as England boss. As for the players, Raheem Sterling will be a key man to watch, as the former Liverpool star has blossomed at the Etihad this season, maturing into a clinical finisher with 14 league goals to his name already. Although there is no set England captain yet, plenty are pointing to Tottenham’s goal-machine Harry Kane as the man to take the armband. Continuing to astound with his ruthless scoring instincts at club level, he also boasts 12 goals from 23 appearances for his country. Historically, the dramatic glory of 1966 remains the greatest achievement in England’s football history. The Three Lions have been eliminated at the quarter-final stage on six occasions – can they progress further in Russia this year? They played two friendlies last march - the first saw Southgate's men beating Netherlands 1-0 while the second one ended in a 1-1 draw against Italy. The following are the highest odds on the World Cup Group G Winner market. Click on the 'Bet' button to require the highest available odds on your selected team. 200/1 England to win the World Cup! Get 200/1 England to win the World Cup with Betfair! New Customers can get England to win the World Cup at an enhanced 200/1. Max Stake £1. Winnings paid in free bets, valid for 7 days, only deposits with cards/Paypal count. Exchange and multiple bets excluded. T&C’s Apply. 18+|Gamble Aware. England and Belgium looks the most likely teams to advance to the last 16 round. Anyway, both teams are renowned for falling short on the biggest stages. Panama and Tunisia are very physical teams and are both capable to deliver a major upset this summer. "2018 World Cup Group G predictions, betting tips, odds and free bets"